A PhD neuroscientist and mother's journey into understanding the immune system. Early last year, I put a query out to my fledgling Facebook fan base, “What is the first thing that comes to mind when you think of a scientist?” Only one person responded, but that one response absolutely nailed it. “I'm not a scientist but I follow science and believe that at its best, science tells the best stories.” That golden insight came from none other than, Henry Ehrlich, co-author of Asthma Allergies Children: A Parent’s Guide, editor of the corresponding website AsthmaAllergiesChildren.com, and now author of the book Food Allergies: Traditional Chinese Medicine, Western Science, and the Search for a Cure. And boy, did he not only follow the science, but he tells its gripping story to an entire food allergy community. Many scientists mistakenly think that their stories are told through their data, amassing large numbers of peer-reviewed research articles that speak for themselves. While in a sense this is true, peer-reviewed articles only capture the still frames of a much greater dynamic moving picture. Peer-reviewed articles rarely mention the trials and tribulations along the way. They make no mention of the emotions surrounding discovery - whether it’s the high of seeing incredibly promising data unfold or the gut-wrenching “failure” of yet another experiment. It is a world where study participants are referred to as merely “subjects” that represent a sea of individuals. Non-experts, those who are most affected by food allergies, may see or read about the still frames of single peer-reviewed articles, and yet have trouble parsing whether it’s the still frame from an academy award winning movie or a golden raspberry recipient for worst motion picture. In his most recent book, Mr. Ehrlich masterfully explains the beautiful still frames of years’ worth of peer-reviewed science from the lab of Dr. Xiu-Min Li at Mt. Sinai, weaving a dynamic tale of science that will be appreciated by both experts and non-experts alike. From the get-go, the book title and cover imagery allude to the uniqueness of Dr. Li within the world of cutting edge scientific research. She has one foot entrenched in Traditional Chinese Medicine (TCM) and the other strongly rooted in the rigors of modern science, having trained with one of the pioneers in food allergy research, Dr. Hugh Sampson at Mt. Sinai. Long before I met Mr. Ehrlich and near the beginning of our family’s allergy journey, I was captivated by the research coming out of Dr. Li’s lab. While it seemed absurd that a combination of herbs could potentially reverse food allergies, the undeniable data published in top-notch peer-reviewed journals stared back at me from the page (at least for mouse models of peanut allergy). As a scientist, I was curious to know the back-end story of how Dr. Li even thought to test a combination of herbs in the first place. Mr. Ehrlich tells all in his book. My Western way of thinking would never have come up with this – never. We are trained to test substances in isolation to eliminate unwanted variables. Yet, here was team Dr. Li figuring out what combinations of herbs worked and why they worked. Without giving too much away, the idea stems from treating intestinal parasite infections in rural China using a pharmacopeia of herbs in TCM. While on the surface this seems preposterous, the mechanistic link is not as far-fetched as it sounds. Mr. Ehrlich fully explains the crazy-sounding connection in his book. Even more fascinating for me as a scientist, is the initial support Dr. Li received from her mentor, Dr. Hugh Sampson, a leader fully entrenched in the methods of modern research science. This was the stuff of “woo,” right? How and why did he give her the green light to try this? Read on. The level of detail, research, and vetting on Mr. Ehrlich’s part is reflected not only in his accurate, easy-to-understand presentation of the science, but also in his empathy for the quality of life and ongoing fears faced by those of us dealing with the threat of life-threatening food allergies. He fully understands the current promising therapies – oral immunotherapy (OIT), OIT combined with anti-IgE therapy, etc - to treat food allergies. He understands the great sacrifices and commitment required for patients and families seeking treatment with these as yet unproven methods. He dutifully explains what likely sets the combination of Chinese herbs known as FAHF-2 apart from the others, while fully acknowledging that the treatments - whether it is OIT, FAHF-2, or some combination of treatments - may be as complex as the disease itself. As good as this book is, these questions still remain unanswered. If the mouse model studies combined with “test tube” science using human cells/tissues are any indication, there is very good reason to hope for a lasting cure from FAHF-2. 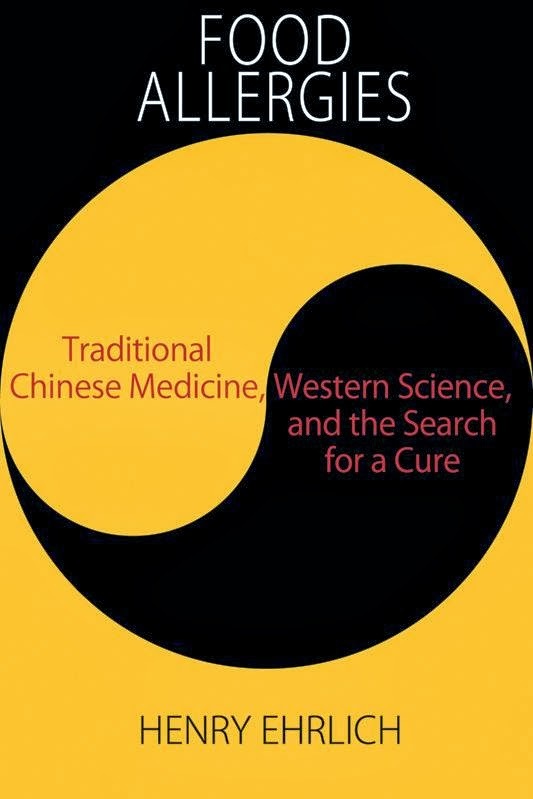 On top of the scientific evidence, the book presents several successful case studies of individuals in treatment with Chinese herbs through Dr. Li’s private practice. Overall, Mr. Ehrlich’s book beautifully articulates the unfolding “motion picture” of science behind FAHF-2 to treat food allergies. If the emerging science ultimately shows the treatment to be effective in humans (hopefully those Phase II clinical trials in people will be published soon?! ), Mr. Ehrlich’s book will help pave the way for widespread understanding and acceptance of a treatment traditionally lumped into the complementary and alternative medicine bucket that often gets dismissed by Western medicine as “woo.” In reality, though, “There is no alternative medicine. There is only medicine that works and medicine that doesn't work.” Fingers crossed. Bravo, Henry, for writing this unfolding gem of a story in translational science. Experts will appreciate the thorough coverage of years’ worth of scientific studies, and patients and their families will have a deeper understanding of the complex inner workings of allergies, all while riveted to its pages. Take that, sleep-inducing immunology textbooks! Update (2/23/14): The paperback version is now available through Amazon. Currently, it is available as an ebook from Scribd. It is expected to become available from other sources such as Amazon within the next week. I have received no compensation to write this review other than an advance copy of the book. I also critically reviewed portions of the book in its early stages and have authored three original pieces for Asthma Allergies Children. My opinions are my own. It is definitely a masterpiece for those interested in this area of scientific discovery. Excellent review! Thank you, Selena. I agree! Jessica, this is deeply flattering. As a thinker, a writer, a friend, and now as a reviewer, you are a gift. Thank you. Feelings are mutual! My sister in-law has some really interesting food allergies. It almost seems like all that she can have is beans and soy milk. Almost everything else has some sort of negative effect for her. I just hope that she can narrow down what she is actually allergic to so that it opens the rest up to her. To better assess the allergies that you do or might have, you are going to want to contact an allergist. They will be able to help you out the most and without them a lot of people would suffer from their allergies every single day. They figure out the allergy and get you the medication that you need to beat this allergic reaction. My name is Jessica Martin, and I hold a PhD in neuroscience from Oregon Health & Science University. In the midst of graduate school, my family's life was rocked by my toddler son's diagnosis of at least 20 different food allergies, some of them life-threatening. Now that I am considered an "expert" in neuroscience research, I am on a mission to understand the immune system. Join me as a link our life experience with food allergies and my passion to understand the science behind the immune system. My goal is to make what is known and more importantly not known from the scientific/medical literature accessible to all! I welcome any and all feedback. Let the ideas, hypotheses, and discussions begin! The content of this blog is for educational and informational purposes only. The information provided herein should not be construed as a health care diagnosis, treatment, or any other prescribed health care advice or instruction. The information is provided with the understanding that the publisher is not engaged in the practice of medicine and does not enter into a health care practitioner/patient relationship with its readers. The publisher does not advise or recommend to its readers treatment or action with regard to matters relating to their health or well-being other than to suggest that readers consult appropriate health care professionals in such matters. No action should be taken based solely on the content of this publication. The information and opinions provided herein are believed to be accurate and sound at the time of publication, based on the best judgment available to the authors. However, readers who rely on information in this publication to replace the advice of health care professionals, or who fail to consult with health care professionals, assume all risks of such conduct. The publisher is not responsible for errors or omissions. Copyright 2011-2013, Jessica L. Martin, Ph.D.. Simple theme. Powered by Blogger.